They're professional and honest. It was easy to work with them, and I trusted their judgement. They were on time, they had a good price, and they were competent. They are extremely honest. Long story short, I thought I needed an entirely new roof on my house. When Javier Martinez, the owner of Winter Roofing, came out to give me an estimate, he informed me I still had many years of life left on my roof. I only needed a couple of repairs done. He could have completely upsold me, but he didn't. He's an honest and sincere man. They are very, very honest. They are a professional, friendly company to do business with. They were easy to get ahold of, I didn't have to wait too long for them to come out to do the job, and they were responsive to my needs. Winter Roofing Inc. installs and repairs all types of roofs for residential, commercial, and industrial clients throughout the Greater Bay Area. The company has the in-house capabilities to handle every step of the roofing process, from the initial estimate to the finishing touches, and it’s also qualified to perform roof inspections, install sun tunnels, and more. DIAMOND CERTIFIED RESEARCHED CAPABILITIES ON Winter Roofing Inc.
Company Name: Winter Roofing Inc.
DIAMOND CERTIFIED RESEARCHED ARTICLES ON Winter Roofing Inc.
Winter Roofing has been installing, repairing and maintaining roofs for residential, commercial, and industrial clients throughout the Greater Bay Area since 1992. The company has the training and equipment to handle every step of the roofing process, from the initial estimate to the finishing touches, and it also has the in-house capabilities to perform roof inspections, clean gutters, install sun tunnels, and more. If you’re having a new roof installed on your home, make sure you’re prepared for the possibility of rain. The Bay Area is known for its temperate climate and dry summers, but it’s also known for rainstorms that strike at unexpected times, which can make it particularly difficult to schedule a roofing project. Usually, it’s safe to schedule roofing work during the summer, but sometimes an unexpected stretch of wet weather will pop up and force a reschedule. While that can be inconvenient, most homeowners understand that it’s smart to wait until the threat of rain has passed to begin their roofing projects. Scheduling may be easier. Most homeowners schedule roofing projects for summer, so the best companies can get booked up weeks or even months in advance. Also, the labor market tightens up during the summer, so it can be easier for roofing companies to provide full crews and get work done faster during off-months. Prices may be lower. Some roofing manufacturers and contractors charge higher prices when demand is higher—usually in the summer when rain is rare and homeowners are clamoring for new roofs. In some cases, you can save 10 to 15 percent by booking your installation during the off-season. The conditions are better for setting roofs. Hot weather can loosen the UV-protecting granules on shingles, and installing and walking on them can increase the likelihood of the granules flaking off. Scheduling your installation on cooler winter days can preserve the shingles. The conditions are better for roofers. Mild winter weather means safer and more comfortable working conditions for roofers, who may be able to work longer and faster than on hot summer days. Q: What type of roof should I choose? A: There are a lot of roofing options to choose from, but we’ll show you examples and discuss pricing differences so you can find the type of roof that best fits your needs. A: It depends on the size of your home and the city in which you live, as different cities have different inspection processes. For example, installing a roof on an average sized home in San Jose takes two or three days and only requires a final inspection. However, a roof installation in Milpitas requires one inspection per day, so it can take longer to complete the project. We’ll give you a detailed estimate before work begins, but generally speaking, most roof installations take one to three days to complete, or four to five days if you have a large home. Q: Will you take care of all the permits and inspections? A: Yes, we’ll pull the permits for your project and schedule all the inspections. Also, we don’t collect payment until our work passes the final inspection. Q: What happens if it rains while you’re working on my roof? A: We keep a close eye on the weather and try to schedule work for when it isn’t raining, but we can’t always anticipate the weather, so we keep tarps in our trucks so we can cover any open spots on the roof if it starts raining while we’re working. Q: What if there’s dry rot underneath my existing roof? A: If we find dry rot, water damage or another problem with your roof, we’ll always tell you first before doing anything to address it. We’ll also give you the option of having us repair the damage or hiring another company to handle it. Q: What if you find termites while you’re installing my new roof? A: Termites don’t necessarily stop the process of installing a new roof, but if the infestation is bad or there’s a lot of damage, we’ll let you know so you can take steps to correct it. We can remove and repair termite damage and install new wood so the roof is sturdy and safe, but it’s up to you to hire a pest company to treat your house and protect it against future infestations. 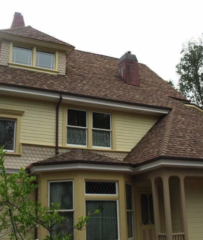 Q: If my wood shake roof needs to be replaced, can I switch to a composite roof? A: Yes, we just have to put down plywood before installing the new composite shingles. SELECTED PHOTOS FROM Winter Roofing Inc.
Javier Martinez is 32-year veteran of the roofing industry and president of Winter Roofing Inc., a Diamond Certified company. He can be reached at (408) 782-4966 or by email. A: Both—I get up early and usually go to bed late. A: Stay home, relax and maybe watch a movie. 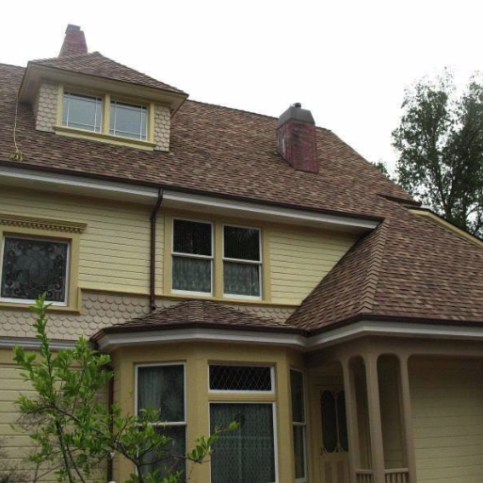 MORGAN HILL — A new roof is a big investment, so you’ll want to make sure yours is backed by a strong warranty. However, keep in mind that your warranty may only be as good as the contractor you choose. Most roofing manufacturers offer certification programs, whereby roofing contractors can become certified to install their products and systems. Once certified, these contractors are eligible for extended warranties due to their verified expertise. So, to maximize your roof warranty, your best bet is to hire a factory-certified roofing contractor. One example of this is GAF Materials Corporation’s Master Elite Contractor program. By hiring a GAF Master Elite Contractor, your roof will be eligible for an exclusive warranty that provides 25-year coverage on workmanship and 50-year coverage on materials. What’s more, GAF will honor its warranty even if the installing contractor goes out of business, giving you even greater confidence in your investment. MORGAN HILL — Host, Sarah Rutan: Due to the substantial cost of replacing a roof, it’s important to back your investment with a strong warranty. To learn more, we’re in Morgan Hill with Josh Albrecht of Winter Roofing, speaking on behalf of Diamond Certified Expert Contributor Javier Martinez. Josh Albrecht: If you’re looking for your roof to be replaced, you may have heard of GAF Material Corporation’s Master Elite Contractor Program. It’s a warranty program backed by GAF Material Corporation encompassing material and workmanship warranties that benefit the customer for a leak-free roof, with a 25-year workmanship and a 50-year material warranty. 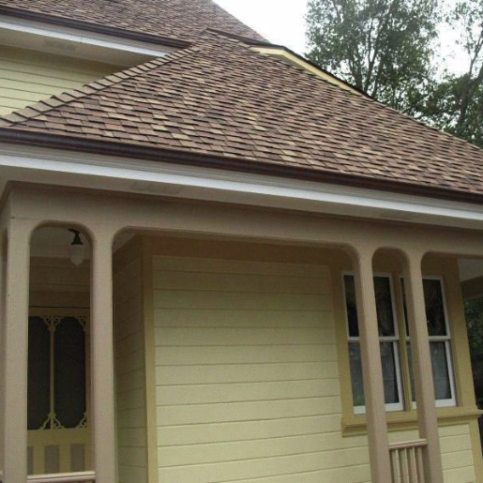 GAF has been in business since 1886, and honors the warrantees even if the contractors close their business. In making your re-roofing decision, you may want to consider a GAF Systems roofing contractor. Diamond Certified RATINGS ON Winter Roofing Inc.
Winter Roofing Inc. : Average 9.0 out of 10 based on 100 unique customer surveys of customer satisfaction. They take pride in their work, and there is no project too large for them to take on. They were always very easy to get in contact with, and they were always very timely. They did a good job, and they were thorough. They fixed the leak. I had tenants that were living there when the roof was leaking, and they weren't going to pay me the rent until it was fixed. They're knowledgeable, and they didn't steer me in the wrong direction. I think they are pretty honest. They told me I didn't need to re-roof my house, but just repair it. They're honest, knowledgeable, professional, and they gave me a lot of education. They delivered on what they promised to do. I don't have much experience with roofs, but they were okay. They got it done. They are very competitive with their prices. The whole process was very easy. They always kept me informed with what was going on. They're fast, responsive, and thorough. I liked how responsive they were. The main thing about Winter Roofing is that they do quality work, and when something needs repair, they actually fix it. That's not always the case with other service providers. They're high quality, responsive, and they make sure the job gets done right. The important thing isn't that things go right, it's the way things are handled when they go wrong. These guys always make it right. I can rely on them. They didn't upsell me, which I appreciated. I needed some work done on my roof, and they didn't do anything unnecessary. They only did what was needed. They didn't go crazy to make money off of me. Thanks to them, my roof doesn't leak anymore. They fixed my leaky roof. They were friendly, responsive, and they did a top-notch job. They were friendly and reasonably priced. They are fast, efficient, friendly, and professional. They were on time, they did the job they promised they'd do, and they were courteous. They were really quick, and they cleaned up everything, which is not the case with most contractors out there. They did a good job on the roof. I think they do good work, and they have a lot of experience. They worked very quickly, and they were thorough. I'm happy with the work. They did a great job for a great price. They were on time, and they did a good job. Everything they did looks good.